F Toni Rajala (Brandon, 2009-10) has signed a two-year extension with Biel-Bienne (Switzerland, NL A). He has 13 goals and four assists in 19 games. These days, the OHL’s London Knights are the most successful of the CHL’s 60 franchises. The defending Memorial Cup champions regularly play in front of 9,000 fans at Budweiser Gardens. Morris Dalla Costa of the London Free Press has following the OHL and the Knights for a long time and has written a column on the proposed class-action lawsuit filed by current and past players as they attempt to have the CHL teams in Alberta and Ontario pay them at least minimum wage and benefits. Late last week, Justice R.J. Hall of the Alberta Court of Queen’s Bench ordered teams to turn over financial statements and tax records. “It’s a nightmare decision for the junior teams,” Dalla Costa writes. . . . He fully understands that a ruling favouring the players may cause havoc with some franchises. “Some of the junior hockey teams, the small market teams,” Dalla Cost writes, “would be justified with those concerns. But junior hockey is a business and as business partners, teams will have to find a way to help each other survive . . . or not.” . . . His complete column is right here. Vaughn Karpan is one of the most impressive and most thoughtful people I have met during more than 40 years around the world of hockey. We both are from northern Manitoba — he was born in Flin Flon and calls The Pas home; I was born in Sherridon and call Lynn Lake home — so perhaps that is why we hit it off. He really is an intriguing guy and had quite a playing career; for one thing, he was on Team Canada when it won the 1987 Izvestia Cup right in Moscow. He is correct when he says “it’s something nobody in Canada talks about.” It should be remembered as one of the greatest moments in Canada’s hockey history. . . . Anyway, Karpan recently left the scouting staff of the Montreal Canadiens to sign on with the expansion Las Vegas franchise as director of player personnel. So why would he leave the Canadiens for an expansion franchise in Las Vegas, which is a long, long way from The Pas? . . . Lucas Aykroyd of iihf.com talks with Karpan about that and a lot more right here. The BCHL’s Wenatchee Wild has signed Bliss Littler, its general manager and head coach, through the 2020-21 season. 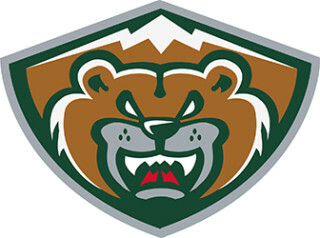 The Wild is in its second season in the BCHL, having moved from the NAHL. . . . Last season, the Wild finished 34-16-4-4 and lost a divisional final series. This season, the Wild is 13-2-1-0 and sits atop the six-team Mainland Division. Its .844 winning percentage is No. 1. . . . Littler, one of junior hockey's most successful coaches, has been coaching since 1989 when he was an assistant coach with the SJHL’s Minot Americans. At Brandon, F Nikita Popugaev scored at 2:13 of OT as the Moose Jaw Warriors overcame a 2-0 deficit and beat the Wheat Kings, 3-2. . . . Popuvaev finished with two goals — he has 11 — and an assist. . . . F Reid Duke had given Brandon a 2-0 lead with goals at 9:35 of the first period and 7:37 of the second. . . . Popugaev cut into that lead at 8:09 of the second and drew the secondary assist when F Brayden Watts tied it, with his second goal, at 19:06. . . . G Brody Willms stopped 28 shots for the victory, while Brandon’s Logan Thompson made 37 saves. . . . The Warriors were 0-7 on the PP; the Wheat Kings were 0-2. . . . Moose Jaw (10-3-2) has won three in a row. . . . Brandon (6-6-3) has lost four straight. . . . The Wheat Kings continue to be without F Nolan Patrick, while the Warriors again scratched injured F Brett Howden. . . . Announced attendance: 2,825. At Everett, F Dominic Zwerger scored twice as the Silvertips skated to a 4-1 victory over the Red Deer Rebels. . . . Zwerger, who has six goals, opened the scoring 26 seconds into the game. . . . F Patrick Bajkov’s sixth goal make it 2-0 at 2:13. . . . Everett went up 3-0 when Zwerger scored again, at 6:53 of the second period, on a PP. . . . F Michael Spacek’s ninth goal got Red Deer on the board at 14:07 of the second. . . . Everett F Eetu Tuulola ended the scoring with his fourth goal, via a penalty shot, at 11:11 of the third period. . . . Bajkov added an assist to his goal. . . . G Carter Hart came up with 27 saves for the Silvertips. . . . Red Deer G Lasse Petersen made 28 stops. . . . Everett was 1-4 on the PP; Red Deer was 0-3. . . . The Silvertips (12-2-2) are 4-0-1 in their last five. . . . The Rebels (8-7-2) have lost four in a row. . . . F Matt Fonteyne returned to Everett’s lineup after missing eight games with a shoulder injury He drew the primary assist on Bajkov’s goal. . . . The Rebels are without D Carson Sass, who left the team to attend a grandfather’s funeral. The Rebels brought in D Jacob Herauf from the midget AAA Sherwood Park Kings. . . . Announced attendance: 2,657. Wishing @TheWHL referee and #Kelowna's Steve Papp a solid start to season tonight in Kamloops. Has been out after undergoing hernia surgery. At Kamloops, F Jordy Bellerive scored at 1:44 of OT to give the Lethbridge Hurricanes a 2-1 victory over the Blazers. . . . Bellerive has four goals. . . . F Collin Shirley’s seventh goal gave the Blazers a 1-0 lead, on a PP, at 7:27 of the first period. . . . F Giorgio Estephan’s seventh goal pulled the visitors even at 12:26 of the second period. . . . D Kord Pankewicz had two assists for the winners. . . . The Hurricanes got 27 saves from G Stuart Skinner. . . . G Connor Ingram turned aside 30 shots for the Blazers. . . . Kamloops was 1-5 on the PP; Lethbridge was 0-2. . . . The Hurricanes (7-7-2) have won two in a row. . . . The Blazers slid to 9-9-0. . . . Announced attendance: 3,448. At Prince Albert, the Seattle Thunderbirds erased a 2-0 deficit with five third-period goals and beat the Raiders, 5-2. . . . Seattle (6-6-1) has won two in a row and now is 3-1-0 on its six-game East Division tour. . . . The Raiders (4-11-1), who have settled into the league basement, have lost four straight. They are 1-6-1 at home. . . . The Raiders jumped out front 2-0 in the first period on goals from F Luke Coleman (5), at 12:03, and F Parker Kelly (3), at 13:41. . . . The Thunderbirds erased that with three goals in 40 seconds, with F Nolan Volcan (5) scoring at 4:26 of the third period, F Ryan Gropp (2) counting at 4:43 and F Dillon Hamaliuk (1) breaking the tie at 5:06. . . . Seattle got insurance from F Ian Briscoe (2), at 10:10, and F Sami Moilanen (4), at 11:04. . . . Moilanen also had an assist for a two-point game. . . . G Rylan Toth stopped 25 shots for the Thunderbirds. . . . Prince Albert starter Ian Scott surrendered five goals on 30 shots in 51:04. Nick Sanders finished up with nine saves. . . . Each team was 0-5 on the PP. . . . Announced attendance: 1,975. . . . Before the game, the Raiders dropped F Dylan Williamson, 18, from their roster. A fourth-round pick in the 2013 bantam draft, he had one assist in eight games this season. Last season he had three goals and four assists in 60 games with the Raiders. At Prince George, F Steve Owre had a goal and three assists as the Medicine Hat Tigers, the WHL’s highest-scoring team, dumped the Cougars, 6-4. . . . The Tigers (11-4-1) have won three in a row and sit atop the Central Division. . . . The Cougars (13-3-2) had been 5-0-2 in their previous seven games. They continue to lead the B.C. Division and the overall standings. However, their lead atop the overall standings is down to two points over the Everett Silvertips (12-2-2), who hold two games in hand. . . . The Regina Pats (11-0-3) are three points behind the Cougars and have four games in hand. . . . F Jared Bethune put the Cougars out front with his sixth goal, shorthanded, at 2:28 of the first period. . . . The Tigers took control with the next three goals. F Max Gerlach (10) got it started at 12:25 of the first period. Owre, who has two goals, got a shorthanded score at 19:18. F Zach Fischer (9) scored on the PP for a 3-2 lead at 9:50 of the second period. . . . The Cougars got back to within one when D Sam Ruopp scored his second goal, at 17:46. . . . 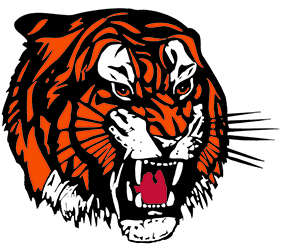 The Tigers then got the next two goals, with D David Quenneville (9) getting a PP goal at 4:09 of the third period and Fischer scoring again, at 6:47. . . . The Cougars made it interesting on goals from F Yan Khomenko (6) at 13:18 and F Jesse Gabrielle (7), on a PP, at 18:20. . . . Medicine Hat F John Dahlstrom iced it with the empty-netter at 19:32. He’s got seven goals. . . . F Chad Butcher had two assists for the visitors. . . . Bethune recorded two helpers for the Cougars. . . . 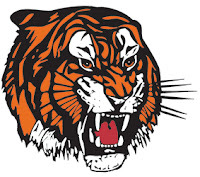 The Tigers got 36 stops from G Nick Schneider, while G Ty Edmonds turned aside 31 for the Cougars. . . . Medicine Hat was 2-3 on the PP; Prince George was 1-2. . . . F Kody McDonald of the Cougars was hit with a slashing major and game misconduct at game’s end. At the same time, the on-line scoresheet indicates that Ruopp took a fighting major and game misconduct. It would appear to have been a one-man fight and that could result in disciplinary action. . . . Announced attendance: 2,737. At Regina, the Pats celebrated their move to the top of the CHL rankings with a 10-2 victory over the Kootenay Ice. . . . The Pats (11-0-3) have won seven in a row and remain the only one of the CHL’s 60 teams not have been beaten in regulation time. . . . The Ice (3-9-4) was coming off a weekend sweep of the visiting Brandon Wheat Kings. . . . D Connor Hobbs had a goal and three assists, with F Filip Ahl, F Nick Henry and F Sam Steel each scoring twice and adding an assist. F Dawson Leedahl and F Adam Brooks each had three assists and F Austin Wagner had two. . . . The Ice got both of its goals from F Fedor Rudakov. . . . G Jordan Hollett stopped 30 shots for Regina. . . . Kootenay starter Payton Lee gave up six goals on 39 shots through 40 minutes. Jakob Walter played the third period, stopping 19 of 23 shots. . . . Regina had a 62-32 edge in shots. . . . Regina was 2-3 on the PP; Kootenay was 0-6. . . . The Pats had D Sergey Zborovskiy, D James Hilsendager and D Brady Pouteau back from injury when they beat the visiting Seattle Thunderbirds, 6-3, on Sunday. . . . Hilsendager, who missed five games, and Zborovskiy, who sat out one game, played against the Ice, but Pouteau was scratched. He had suffered an ankle injury in the preseason. . . . Announced attendance: 3,713. At Swift Current, D Aaron Irving’s third goal of the season, just 29 seconds into OT, gave the Edmonton Oil Kings a 5-4 victory over the Broncos. . . . The Oil Kings built a 4-0 lead and then watched as the home team tied it with four third-period goals. . . . Edmonton earned its lead on goals from F Davis Koch (3) at 4:56 of the first period, F Branden Klatt (2) at 5:55 of the second period, F Nicholas Bowman (2) at 6:20 and F Lane Bauer (8), on a PP, at 11:49. . . . F Tyler Steenbergen got the Broncos started at 3:47 of the third period, via a PP. . . . D Kade Jensen (2) made it 4-2 at 7:02. . . . Steenbergen (12), on a PP, made it a one-goal game, at 10:44. . . . D Artyom Minulin (4) forced OT when he scored at 19:22, with G Taz Burman on the bench for the extra attacker. . . . Koch, Irving and Bauer had an assist each. . . . Minulin, D Max Lajoie and F Aleksi Heponiemi had two assists each for the Broncos, while Steenbergen added an assist to his brace of goals. . . . G Patrick Dea stopped 32 shots for the victors. That included stopping F Arthur Miller on a penalty shot at 7:57 of the second period. . . . Swift Current starter Travis Child was beaten four times on 21 shots in 31:49. Burman came on in relief and allowed one goal on 14 shots in 27:57. . . . Each team was 2-5 on the PP. . . . The Oil Kings (5-8-2) snapped a three-game losing skid. . . . The Broncos are 9-5-3. . . . The Broncos have dropped D Noah King, 17, from their roster and brought in F Josh Baker, 17, who had been with the AJHL’s Spruce Grove Saints. An eighth-round pick in the 2014 WHL bantam draft, Baker is expected to say with the Broncos through the weekend. King had gotten into only four of their first 16 games. He was pointless. King, from Winnipeg, was a 10th-round pick in the 2014 bantam draft. . . . Announced attendance: 1,801. Seattle at Brandon, 7:30 p.m.
Red Deer at Spokane, 7:05 p.m.